The Tampa Bay Rays have acquired catcher Mike Zunino, outfielder Guillermo Heredia and minor league left-handed pitcher Michael Plassmeyer from the Seattle Mariners. “I was shocked. 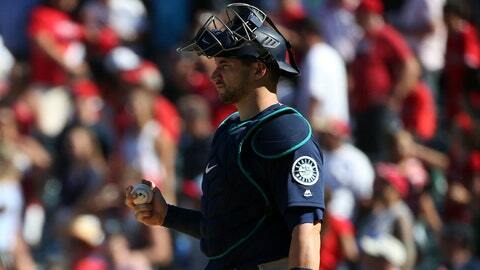 To see your name in trade talks, let alone this early in the offseason, was beyond my expectations,” Zunino said. His previous Seattle tenure lasted all of 77 minutes before he was sent to the Rays. Smith said he’s going in with the idea of playing in center field, which would allow Seattle to move Dee Gordon to his natural position of second base. But the move for Smith could just be the start of a hectic offseason overhaul for the Mariners.